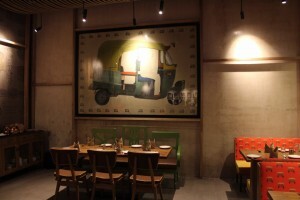 Khaaja Chowk is a known name for Indian Food Lovers in India. It is located in multiple cities, including Gurgaon. 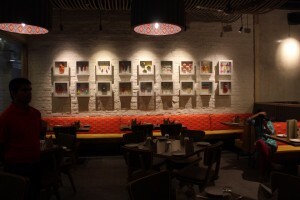 The 9-year brand now raises the bar with its newly launched outlet in Gurgaon’s MGF Metropolitan Mall. 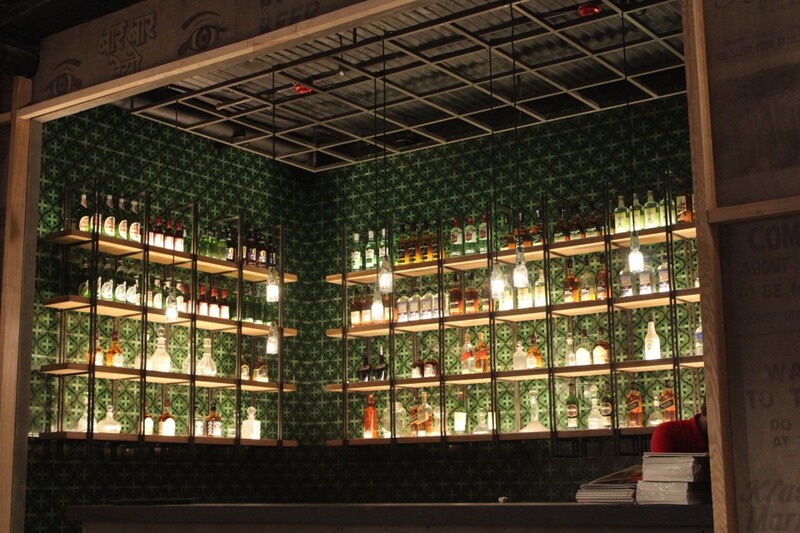 Khaaja Chowk Version 2.0 is being pitched as India’s first Indian Food Cafe and Bar. 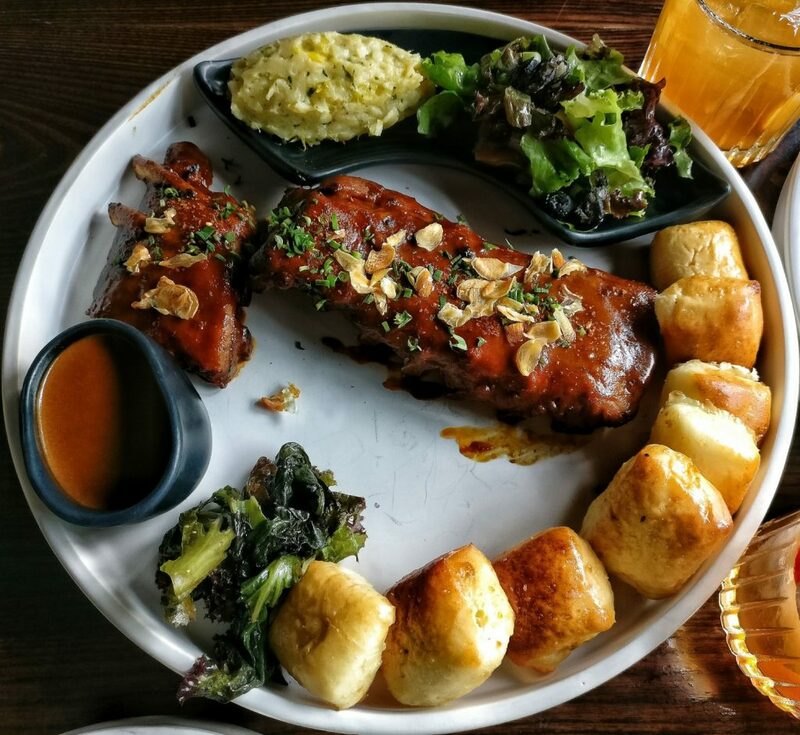 And, this is not the only reason for this one to make its way into your must-try list! 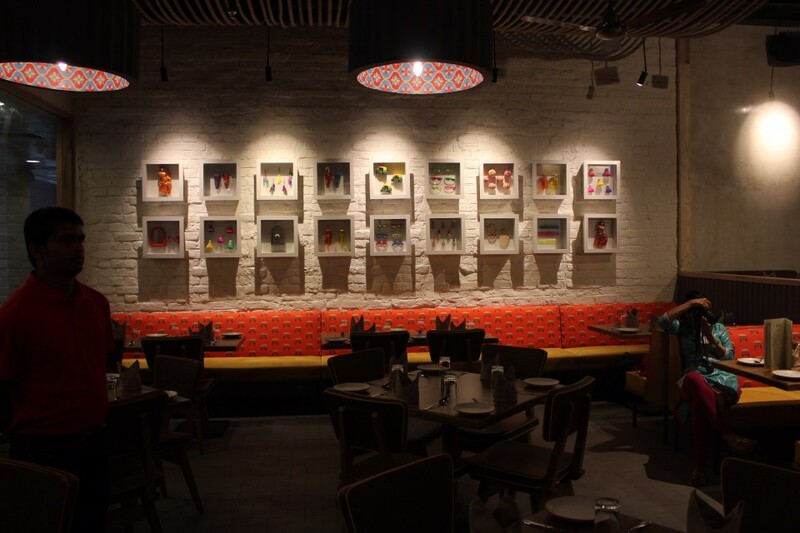 With suave interiors and some quirky Indian-themed decor items, the Khaaja Chowk Version 2.0 is loaded with attributes that will definitely put it in line with some of the best Indian Food restaurants. The music at Khaaja Chowk definitely deserves a very special mention. 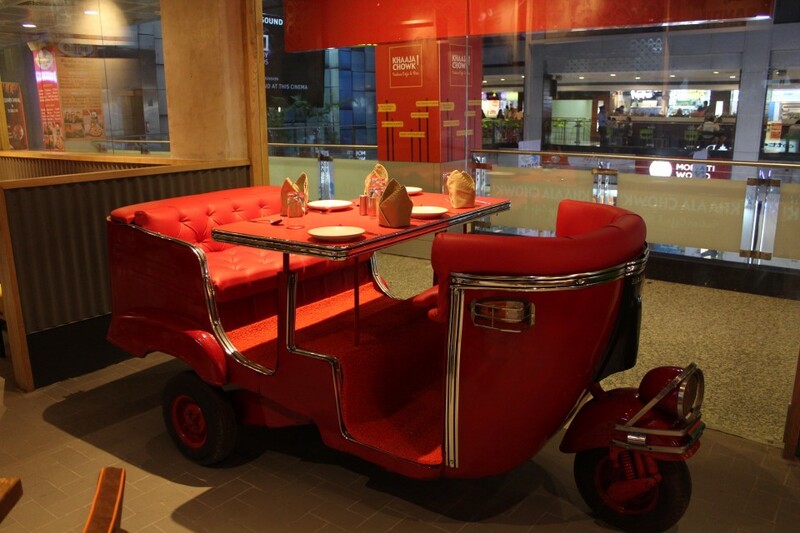 If you’re a fan of Cult Hindi Songs and a lot of Coke Studio, you are surely going to have a great time here. The playlist has been created to cut down on the noise and bless your ears with subtle, soothing and feel-good Indian music. 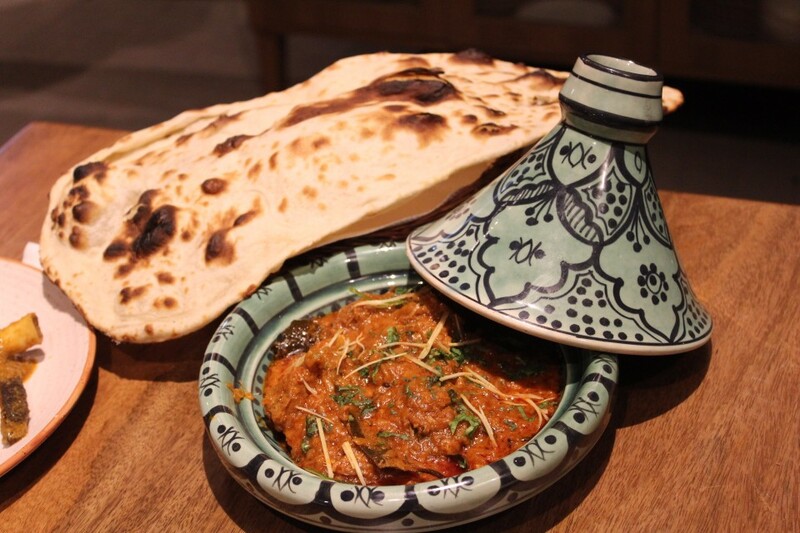 Food is always, ALWAYS the thing we look forward to, when choosing a restaurant to dine, or a cafe to chill in. 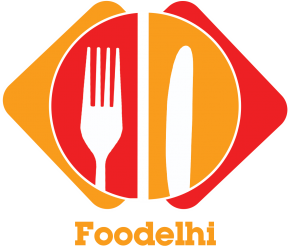 At this Indian Food Cafe, stay assured that only the finest gems of Indian food will reach your table, prepared fresh in the live kitchen. 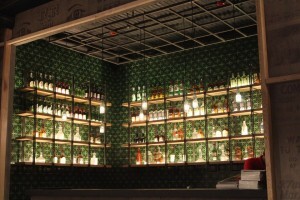 A well stocked, prominent Bar is ready to churn out fine cocktails too. 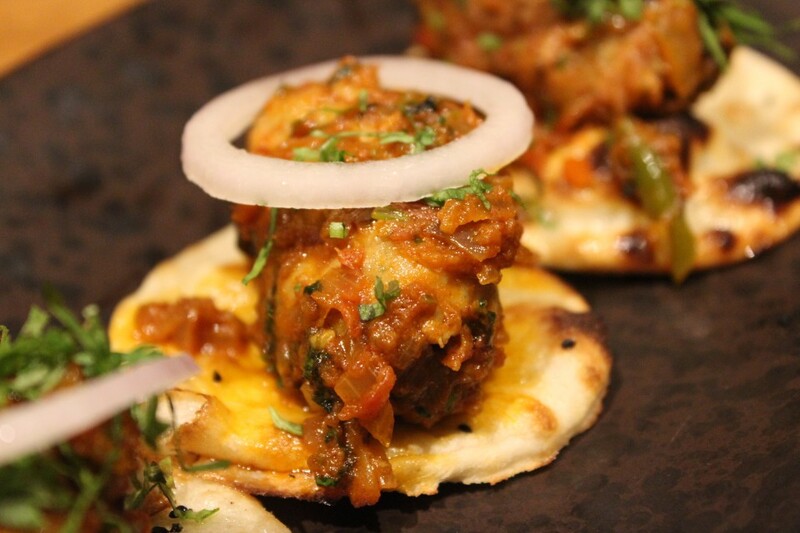 When we talk about the appetizers, our chaat-craving palate is definitely going to have a great time. Jadavpoora Puchka platter and the Khaaja Special murukku (rice flour) papdi chaat were both very delightful dishes, made with love for the Chaat lovers. 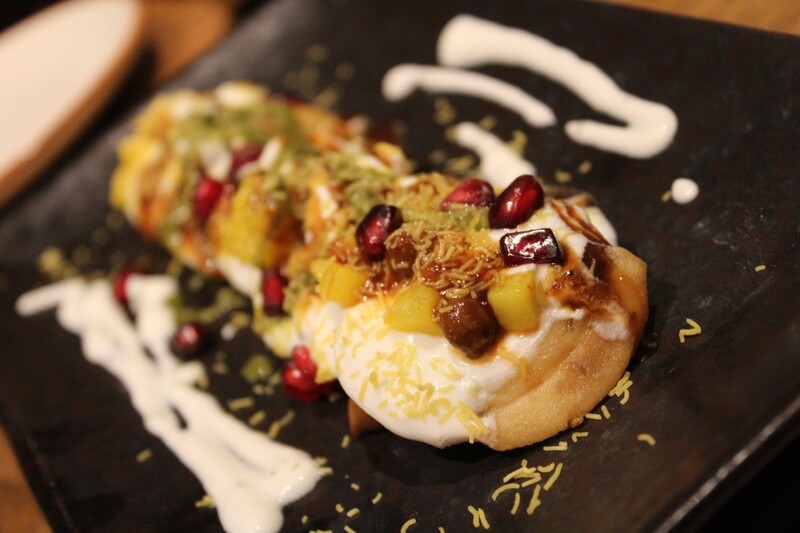 The super crunchy papdis were topped with a cool concoction of curd, tamarind chutney with a garnish of freshly diced mangoes and pomegranate kernels. Murukku flour ensured that the Papdis didn’t become soggy. 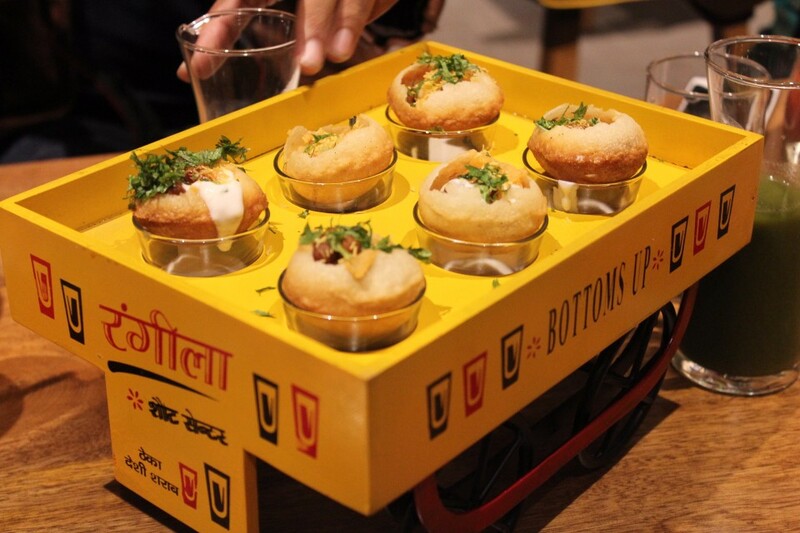 The puchka platter was served inside a mini truck, with each puchka stacked on a shot glass either filled with sweetened curd or a masala paani. 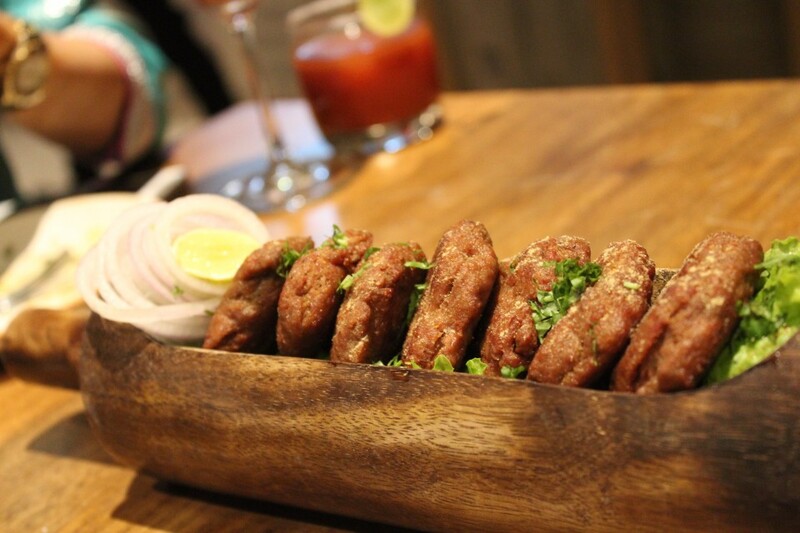 A wonderful Kebab feast would also be ready to welcome you at Khaaja Chowk. On Point Presentation: All the kebabs were served in wooden trays that reminded me of the good old India Belan (a.k.a rolling pin). My personal favorite was a flavor fiesta called Nawabi Murgh Seekh Masala: Well cooked, delicate kebabs served on mini kalonji naans. Definitely, one of the best dishes out there. 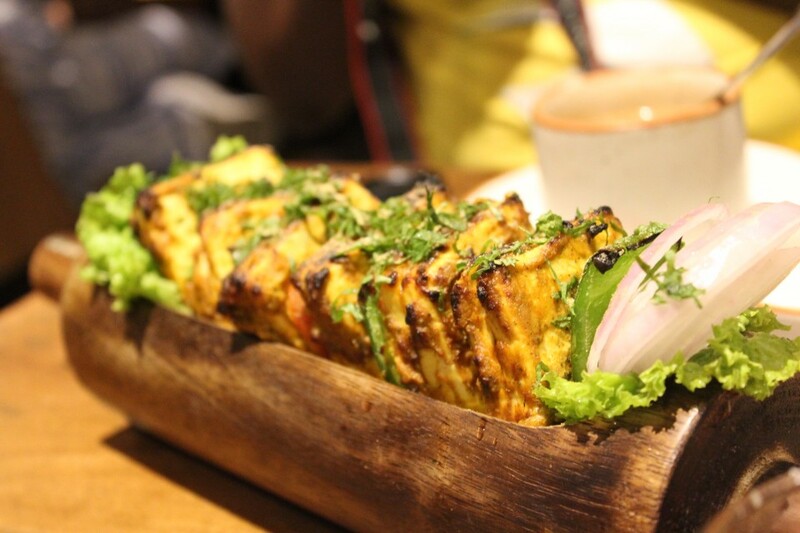 Vegetarians can rejoice the Gangura Paneer Tikka; Tender fresh tandoori paneer marinated in a host fiery, aromatic spices. One great attribute of Khaaja Chowk is that the cuisine is Pan-Asian and hence, the focus of the menu is not limited to a particular region of India. 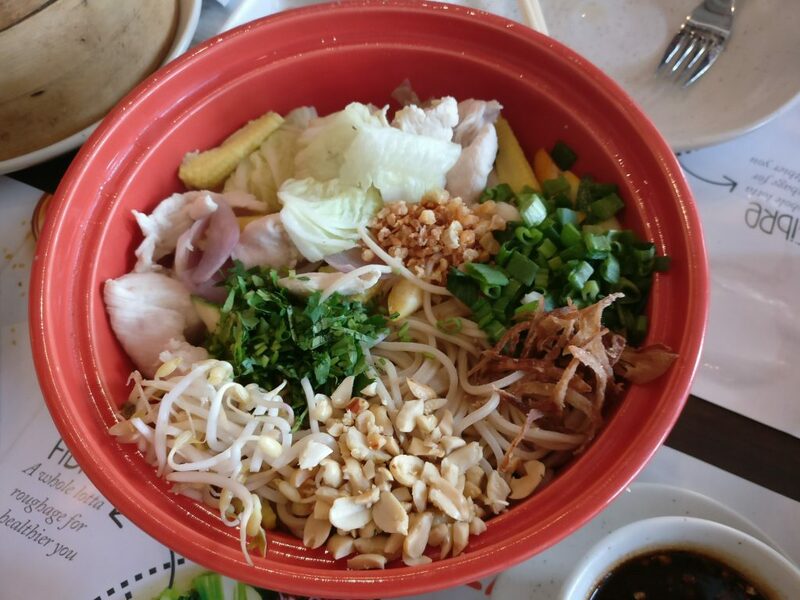 The Chef’s master stroke is definitely the Flaming Claypot. 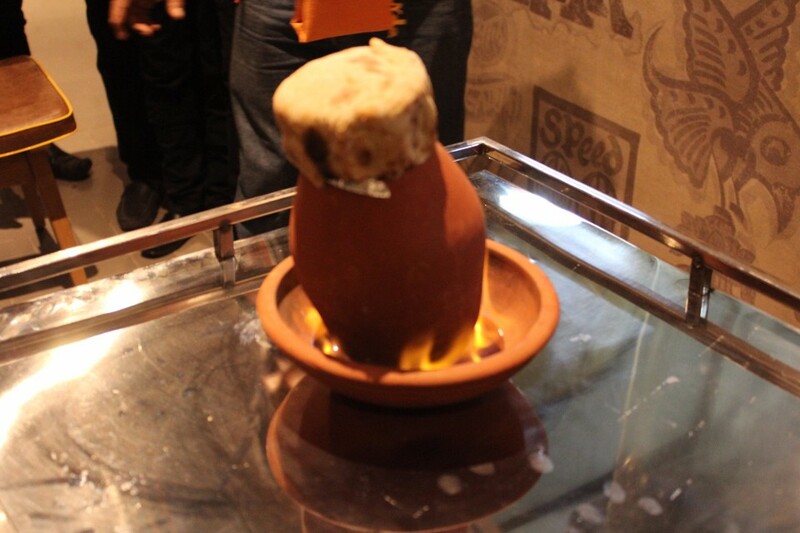 With a mix of intriguing theatrics and intricate cooking, this dish is served inside a flaming earthen pot containing the tasty gravy in which the pieces of meat/chicken are cooked. Literally the hottest dish in town. Two variants, the Nihari Gosht and the Kebabi Murgh are available in this spectacle of a dish. I was also super impressed with the Dum cooking technique, used in the two of the dishes, the Laal Maans and the other one, Gobhi Musallam. Both of these dishes were so full of taste that I couldn’t help but ask for more. The laal maas wasn’t too spicy and neither was it too mild. 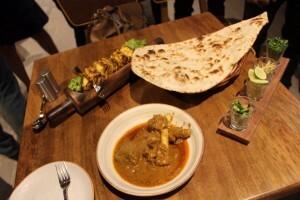 The succulent mutton was prepared with just the right balance of spices. Gobhi Musallam is indeed the best Vegetarian dish I’ve tasted in recent times. 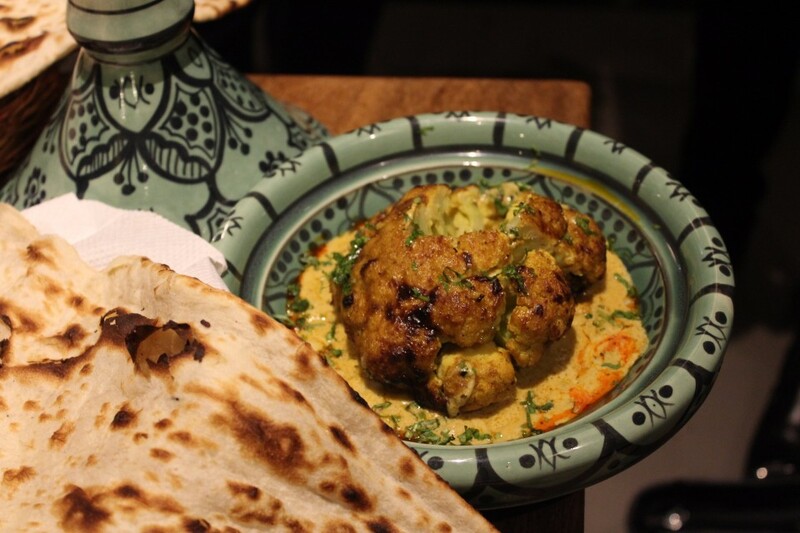 A Hearty portion of Cauliflower, perfectly cooked with a rub of magical spices, utilizing the best of Dum cooking. 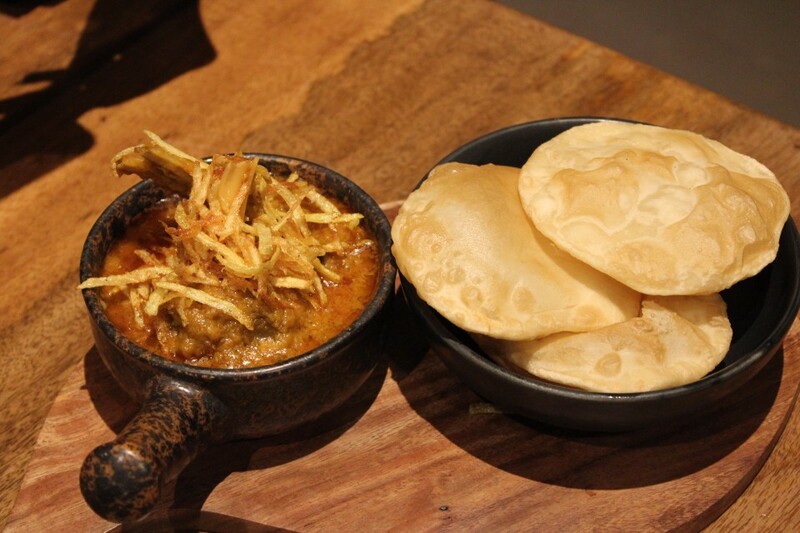 We also caught a welcoming glimpse of a culinary gem from the Bengali Cuisine: A lingering meat curry called Kosha Mangsho, served with deep fried Luchis. Bihari Cuisine also did a cameo at Khaaja Chowk with the evergreen Litti Chokha: grilled spheres filled with sattu and served with a smokey flavored egg-plant mash (also known as Bharta). Both of the last two dishes were a part of the special Indie Platter menu. 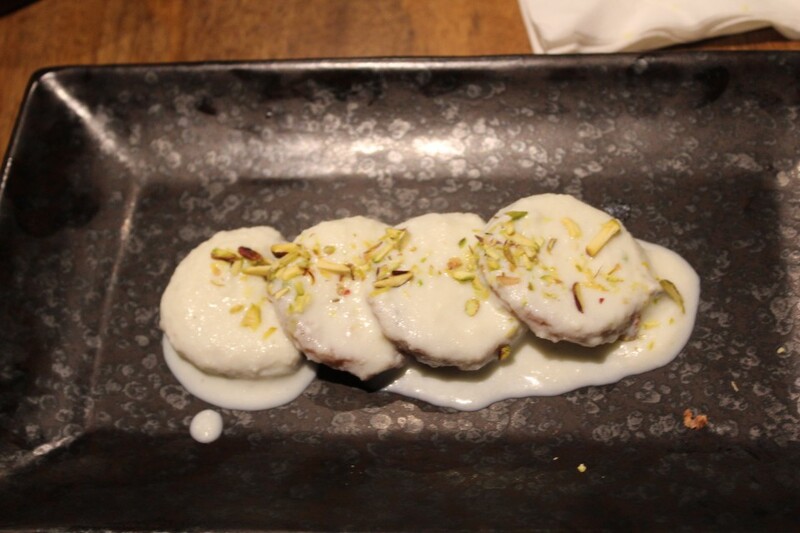 When visiting Khaaja Chowk, you just can’t miss the creamy and hearty shahi tukda laden with rabdi sauce. 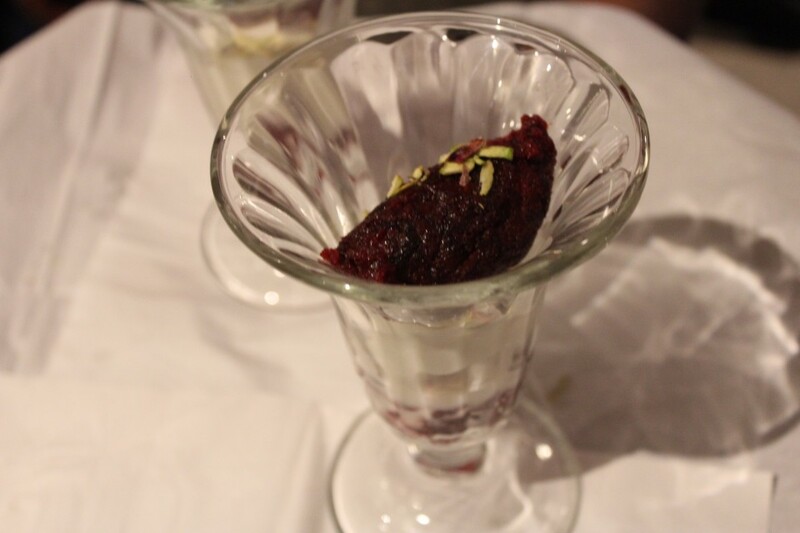 The beetroot halwa with vanilla ice-cream is also a refreshing getaway from the conventional Indian desserts, definitely worthy of a try. 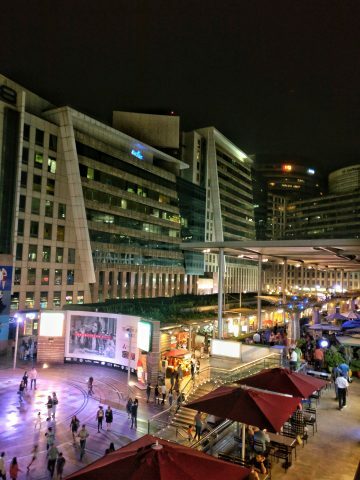 Khaaja Chowk Version 2.0 is now open at MGF Metropolitan Mall in Gurgaon, and it is indeed going to be my go-to place for a relaxing Indian meal with some brilliant music and cocktails.